Bandanas are back baby! From Khloe Kardashian to It Girls, the 90’s trend is the ultimate hair, neck or wrist accessory. 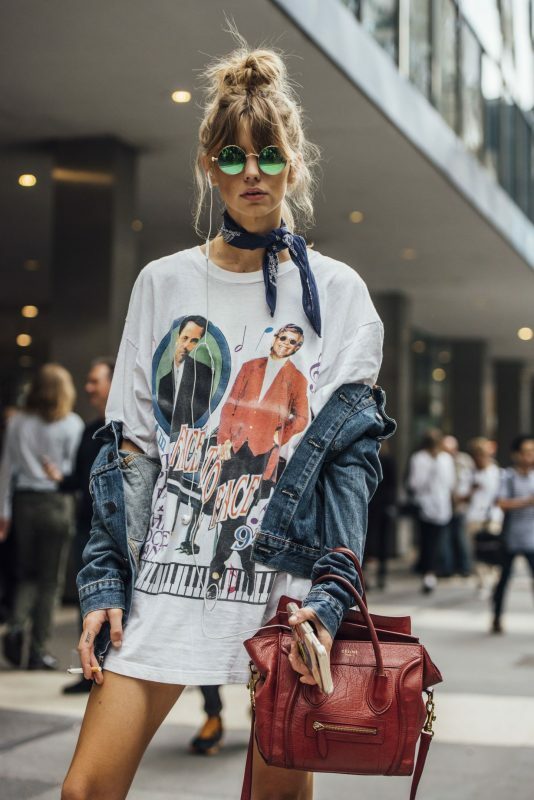 As any 90’s baby will know, bandanas were once a wardrobe staple. And it seems the statement accessory is making a comeback. Celebrities are jumping on board, together with a swag of fashion bloggers, prompting a resurgence of the trend. 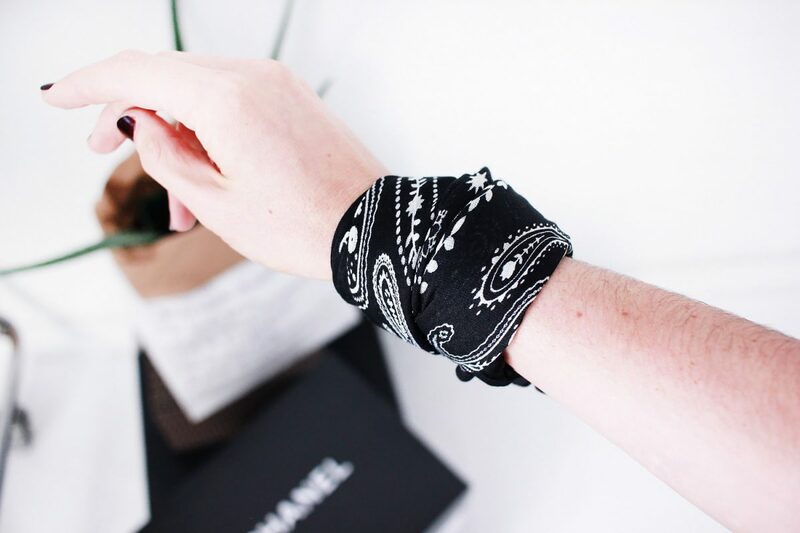 Here are some suggestions on how to wear your bandana accessory. Use it as a bag charm: similar to a twilly, use the same method to fold your bandana as above and tie this around the handle of a tote, or dangling on the side of a smaller satchel style bag. It adds a nice twist and is a great way to breathe new life into a much loved bag in dire need of an update. Wear as a neck tie: undoubtedly the most obvious choice, and my fav way to wear it. Simply fold up the bandana into a thin long strip, and knot it loosely at the nape of the neck, leaving the tails to rest on your clavicle. If you want something looking a little less “done”, try twisting the fabric before you tie it. 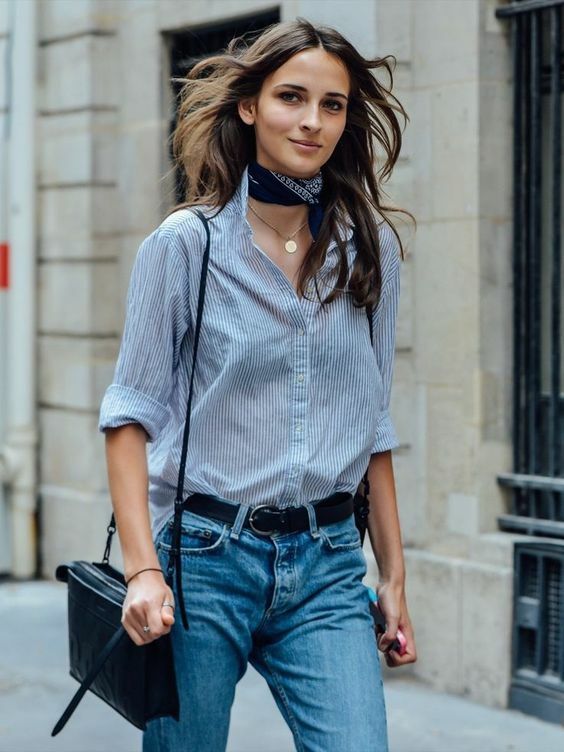 Another option is to tie it around twice for a choker effect, or simply fold the fabric in half to get the triangular “kerchief” which rests on your chest. 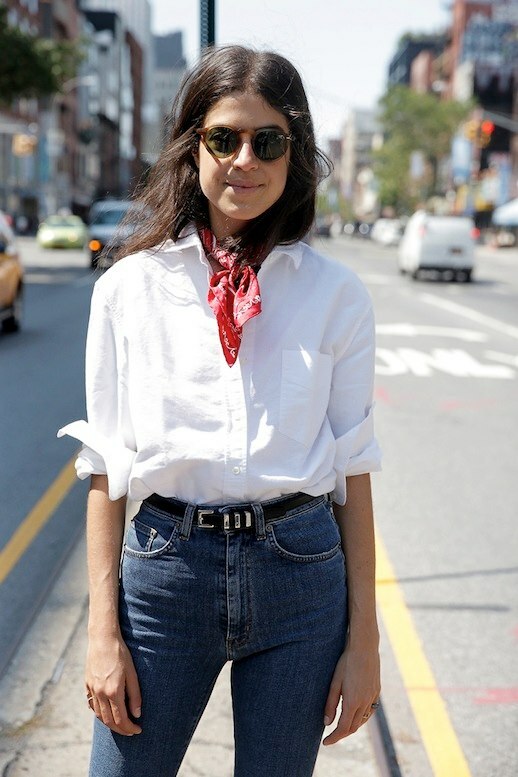 Tie it around your wrist: admittedly, this can get a little bulky, but I think that a bandana looks great wrapped around your wrist, peeking out from behind the cuff of a crisp white shirt. 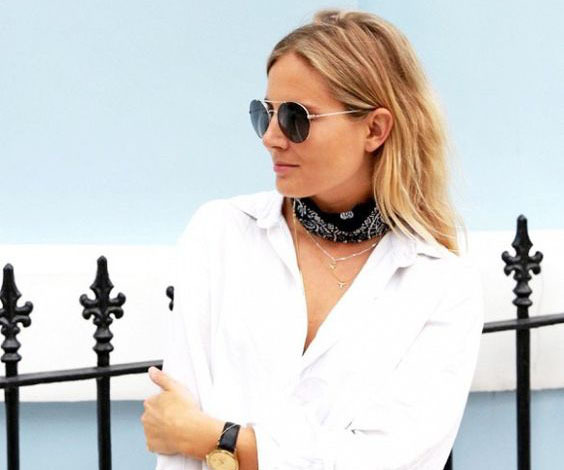 Headband love: the final way to wear your bandana is as a headband. It’s the perfect way to make a messy updo look like you’ve actually made a little bit of effort. This entry was posted in Accessories and tagged bandana.